Saturday, September 26, 2015 • 11:00 am - 3:00 pm. 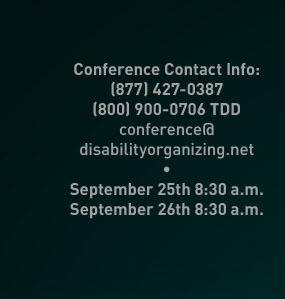 Join us for a day-and a half long disability community-driven conference celebrating the landmark 25th anniversary of the Americans with Disabilities Act (ADA). We’ll begin by reflecting on 25 years of ADA successes, then explore current access issues and technology to increase independence and finish with the young professional view of the future for the ADA. The conference theme "Access, Availability, Advocacy and Civil Rights!" 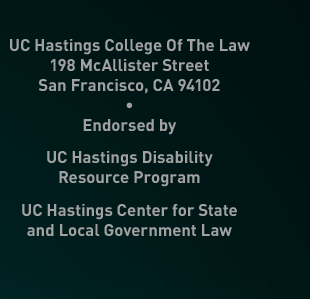 reflects a multi-generational view of disability justice. "Access" is the equal opportunity to participate in all aspects of everyday life. "Availability" is having options and choices which increase independence and freedom. "Advocacy" is our history, the courageous actions of leaders that led to today's inclusion. And "Civil Rights" is our just claim to equal citizenship. The conference is being planned in conjunction with the Disability Unity Festival. For more information please visit http://disabilityunityfestival.org/.